Are you that person who thinks they know everything? Do you brag to your friends about how you know so much obscure, irrelevant trivia? CBC's show "Canada's Smartest Person" is returning this fall, and the nine-part series is looking for its next contestants. Taped in front of a live studio audience, "Canada's Smartest Person" draws upon the latest research to prove there’s more to intelligence than having a high IQ score, or being a math whiz or trivia buff. While a lot of people probably believe that the smartest person is a neurologist, astrophysicist or computer programmer, there is also a good chance it could be an athlete, a mechanic or a stay-at-home parent. Are you ready to put your smarts to the test? "Canada's Smartest Person" is searching for the smartest person in the country. You, or someone you know, could be it! From April 14 to June 15, Canadians can apply – or nominate someone they know – for a chance to be on the show and earn the title of Canada’s Smartest Person. The Theory of Multiple Intelligences redefines what it means to be smart. According to the theory, there are actually different kinds of smarts. The six main categories are: logical, visual, physical, linguistic, musical and social smarts. Most people have strength in two or three of these areas, but only a rare few can excel in all of them. Every week on "Canada's Smartest Person," four Canadians will go head-to-head to prove their mental mettle in the six categories. In the series finale, finalists will battle it out for the ultimate title. Peter Dyakowski, reigning champion of "Canada's Smartest Person" and offensive lineman for the Hamilton TiCats, knows that anyone could take his title this fall. "Being on the show and becoming Canada’s Smartest Person has been an incredible experience," says Peter Dyakowski. "As the search begins for Canada’s newly crowned smartest person, I know that possibilities are endless and anyone can earn the title. If you think you have what it takes, you should go for it. It’s time for me to meet the smartest person in the country." Applicants must be 16 years or age or older as of January 2014. The deadline to apply is June 15, 2014 at 11:59 p.m. ET. 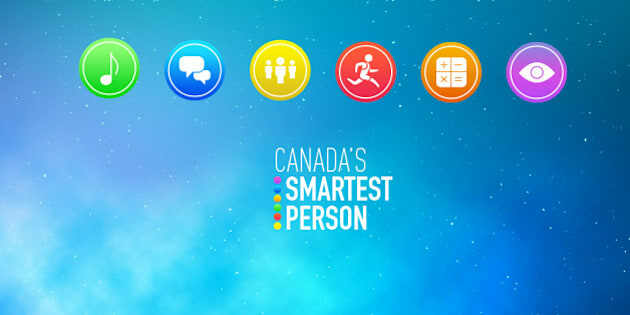 "Canada's Smartest Person" will air on CBC TV in Fall 2014.